In order to become a member state, Serbia needs to close negotiations on all of 35 chapters, which is why an increased workload is to be expected as more chapters are being opened. 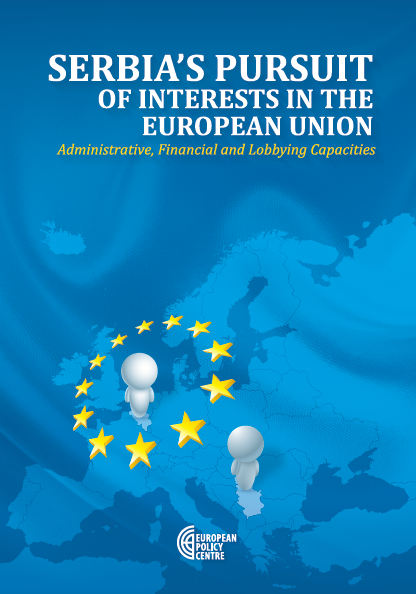 The interaction with the EU officials is likely to increase as well in the subsequent phases of the process. Consequently, this will give further importance to Serbia’s presence and activities in Brussels, which are dependent on its administrative, financial and lobbying capacities. The findings of this study are supposed to instigate a public debate and create a platform for discussion among Serbian policymakers and stakeholders involved in the process of EU accession. By promoting an image of a serious, firm, credible and responsible EU candidate country (and acting like it), Serbia has the potential to increase and improve its appeal in Brussels and willingness of the EU representatives and member states to cooperate with it and take its preferences into consideration.